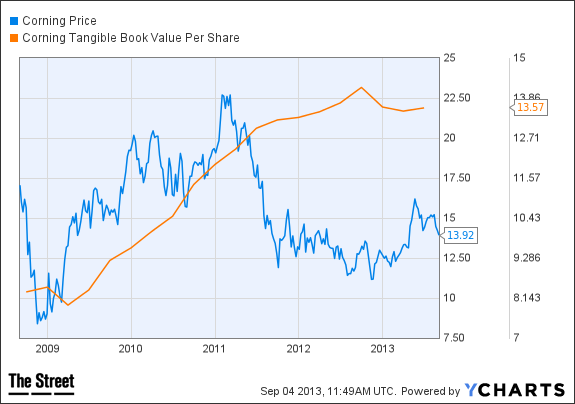 Over the past 12 months, stocks trading below tangible book value outperformed the S&P 500. NEW YORK (TheStreet) -- The hunt for two-cent pennies that I laid out in a column one year ago was based on the notion that buying stocks below their tangible book values should make for some compelling returns over time. 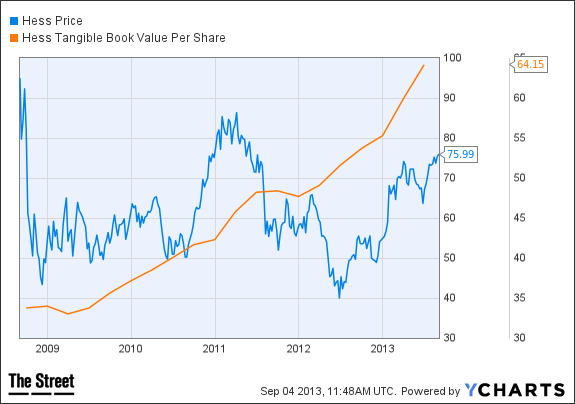 I often use "tangible book value" in my stock screens instead of the more commonly used "book value" because tangible book value strips out intangible assets, such as goodwill, where it is difficult to ascertain whether there is any value in those assets. Buying stocks below tangible book value is typically no recipe for instant gratification; often these situations take time to play out, and require patience. If your typical holding period is measured in days, weeks or months, and not years, then this probably is not for you. Former net/net (a stock trading below net current asset value, or current assets minus total liabilities) Ingram Micro ( IMwas the second best performer, up 45%, and recently hit an all-time high. Despite that solid run, Ingram still trades at just 1.16 times tangible book, and less than 9 times 2014 estimates. Other solid performers in the group include another former net/net, Benchmark Electronics ( BHE, which was up 38%, and Gulkmark Offshore ( GLF, up 40%. One of the stocks I now hold, Corning ( GLW - Get Report), was up 21%. The stock has pulled back about 15% since May, and currently trades at just 1.03 times tangible book, and just under 10 times its 2014 consensus earnings estimate. Corning also increased its dividend in May, and yields 2.8%. I also like that the company has been buying back stock, a powerful combination along with the dividend, and has reduced shares outstanding by about 6% since the beginning of 2012. Rounding out the list of qualifying names are Luecadia National ( LUK, up 27%; Patterson-UTI Energy ( PTEN - Get Report), also up 27%; Vishay Intertechnology ( VSH - Get Report), up 22%; Bunge ( BG - Get Report), up 21%; Unit Corp. ( UNT - Get Report), up 12%; and Rowan ( RDC, up 4%. I'll be back with a new list of stocks that meet the search criteria in an upcoming column. At the time of publication, Heller was long Ingram Micro and Corning. At the time of publication, Heller was long XXXX.